The story of our nation can be told in many interesting ways. One of them is through art. The Smithsonian’s National Portrait Gallery is a museum where history and art intersect. 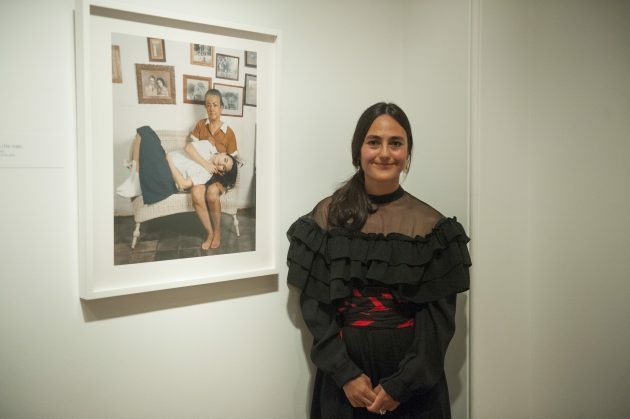 Smithsonian Insider spoke with Taína Caragol to find out how the National Portrait Gallery tells America’s stories through portraits, and how she views her role as curator of painting and sculpture, and Latino art and history. 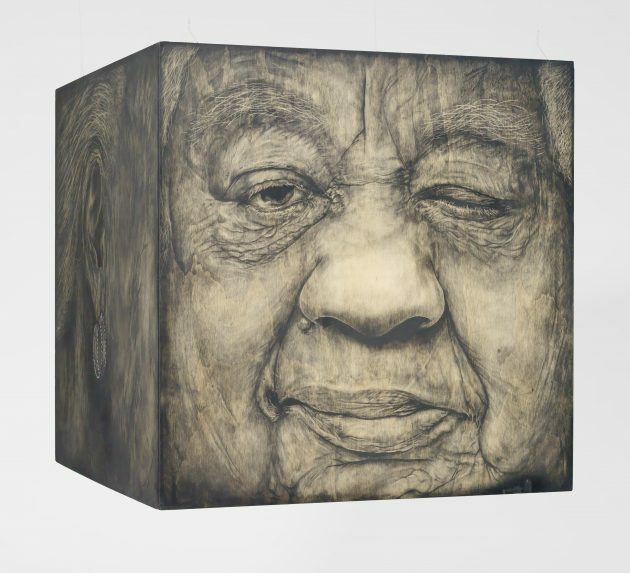 Caja de Memoria Viva II: Constancia Clemente-Colon by Adrian “Viajero” Roman, charcoal on wood, audio recording, mixed media and artifacts, 2013. (National Portrait Gallery, Smithsonian Institution. Q: What can visitors find at the National Portrait Gallery? 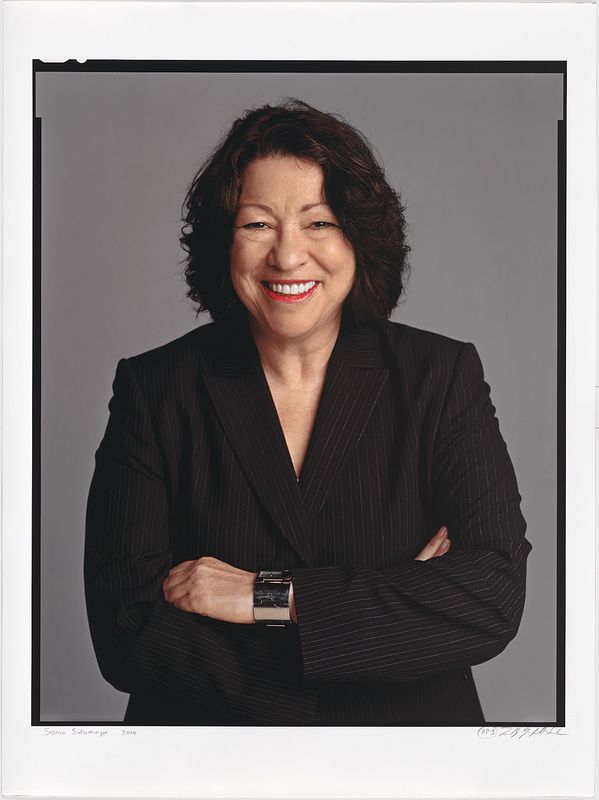 Caragol: The National Portrait Gallery tells the story of the United States through the portraits of people who have shaped its history and contributed to its culture. All of the artworks in the museum’s collection represent people who have had a significant impact on our nation. The Portrait Gallery also puts forth exhibitions that showcase the history of portraiture as an art form in the U.S., and present the vibrancy of portraiture in contemporary art. These exhibitions are usually composed of artworks that are not acquired by the museum, because they’re not of people who have had a role in U.S. history. We show them to provide a broader framework to understand the art of portraiture and its focus on representing individuals and conveying their identity. Q: What do you define as a portrait? Caragol: The Portrait Gallery defines portraiture as a likeness that comes from a live encounter between an artist and an individual (the sitter). Portraiture reflects our society and gives us insight into our humanity. 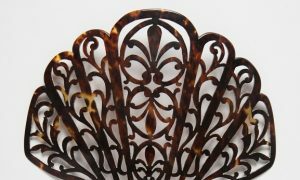 It also connects us with the past and present, reflecting our values and social concerns at a given point in time. An example of how portraiture reflects current societal issues is the Portrait Gallery’s Outwin Boochever Portrait Competition, which invites artists from across the country to submit their best works in the art of portraiture. A panel of jurors reviews the submissions and chooses the most compelling for the final exhibition. Last year, the jurors chose 43 artworks from 2,500 that were submitted. The artworks chosen–multimedia installations, drawings, sculptures, paintings and photographs–were a timely sample of social issues that have taken center stage nationally, such as the rights of the LGBTQ community. There were also portraits representing immigrants of diverse cultural backgrounds and faiths, highlighting the country’s rich social and cultural fabric, while hinting at the challenge of understanding each other and embracing our differences. The show closed at the Portrait Gallery in January 2017 and is now touring the country, giving more visitors the opportunity to reflect on these topics. Q: What is your role as a curator? Caragol: The word “curator” comes from the Latin curare, which means “to care for.” Part of my role is to care for the museum’s collections. As curators, we care not only for the artworks themselves—preserving and protecting them—but we also care for the knowledge around them. A lot of what we do is extensive research on each artist and sitter. We have to properly catalogue every new portrait, describing it in detail: What is the sitter doing? Where is he or she placed? What is the medium? Since our museum combines history and portraiture, as curators we strive to document, understand and convey the social and cultural impact of the sitters in our portraits, and to describe their relationships with the artists who portrayed them. All of this requires doing research and writing interpretive materials for our audiences. Part of my role as curator is to organize exhibitions, which requires thinking of themes and stories that can be explored through portraits in our collection or through artworks and documents that might be available in other museums or archives. We tell stories through exhibitions, so it’s important for me to have a broad knowledge of our collection. This allows me to pull artworks that I think are relevant to the story I’m trying to tell. Finally, as a curator I’m also responsible for acquiring new artworks for the museum’s permanent collection. This involves a lot of research and cultivating relationships with artists, galleries and private collectors, who may consider lending or donating artwork to the museum. Q: How does the museum decide what portraits to acquire? Caragol: Unlike many other art museums, the Portrait Gallery places higher importance on the sitter. This is because we are telling the story of the country through the portraits of people who have helped shape it. Even if a portrait was done by a significant artist, if the sitter is not someone who is considered to have shaped American history we cannot acquire it. Determining whether an individual is historically significant is a careful and deliberate process. While most museums’ curatorial committees are art historians, the Portrait Gallery’s committee has art historians and historians, because we are both an art and a history museum. The historians on our committee decide whether the sitter is of national historical significance. They determine whether the individual has made an exceptional contribution to a particular field, be it politics, music, literature, science or sports, among others. The curators then decide whether the portrait featuring the sitter is a good representation of portraiture as an art form. Q: What is your priority as curator of Latino art and history? Caragol: My goal at the Portrait Gallery has been to make sure the contributions of Latinos to U.S. history are properly represented in the museum. I do this by acquiring portraits of significant Latino figures and organizing exhibitions that tell the stories of Latinos in the U.S. When people are missing from a history museum, the visitor gets the sense that it’s because they haven’t made an impact on our history. 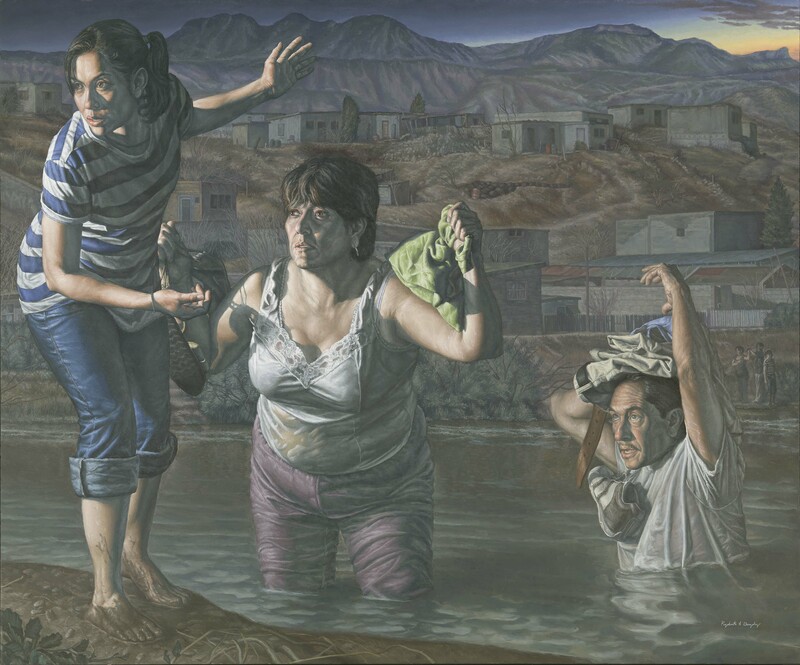 My priority is to make sure that the Latinos who have had a significant role are well represented throughout our collections and in our exhibitions. I also have the task of highlighting Latino portrait artists. In 2014, I organized the exhibition “Portraiture Now: Staging the Self,” which featured six contemporary Latino artists who use portraiture to explore how we build and shape our identities. For “The Face of Battle: Americans at War, 9/11 to Now” (opens April 2017) I worked with Vincent Valdez, an extraordinary artist from San Antonio. His work featured in the exhibition includes paintings, sculpture, and time-based media. Q: What are some challenges to acquiring portraits of Latino figures? Caragol: The question of whether a person has had significant impact in American history is complex. It is affected by time: A person’s full significance may not be evident until years or decades later. For populations that have been historically marginalized, like Latinos, it’s sometimes difficult to find enough evidence to support an individual’s importance, even if they’ve made significant contributions to their communities or to the country at large. The Latino community is made up of people with different cultural backgrounds, based on their countries of origin: Mexican Americans (also known as Chicanos), Cuban Americans, Puerto Rican Americans, Salvadoran Americans, and many others. There are also regional differences, for instance between Latinos living in Miami or El Paso, Los Angeles or Chicago. Taking this context into account, it is common to find figures who have had a significant social and cultural impact but still remain largely unknown outside their own region or community. Two examples are education leaders Antonia Pantoja and Sal Castro, who in the face of disproportionate high school dropout rates in their communities, protested the poor public education that Puerto Rican and Chicano youth received in New York and Los Angeles, respectively. 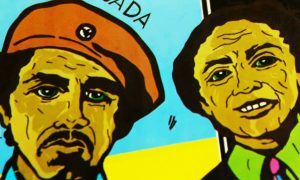 Pantoja and Castro are well-known within their communities for their contributions to public education. However, among the larger U.S. Latino community or the general population, their contributions are largely unknown. 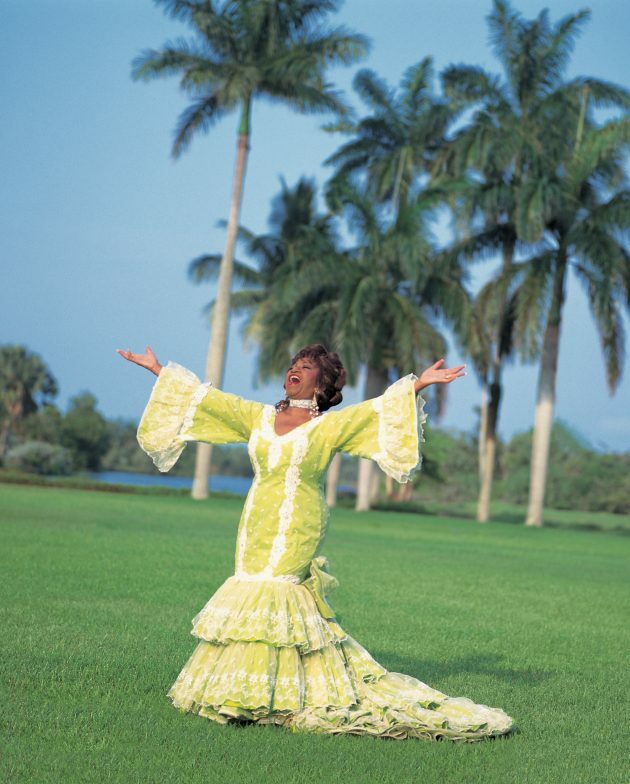 My role is to raise awareness about the contributions of Latinos like Pantoja and Castro to the nation. 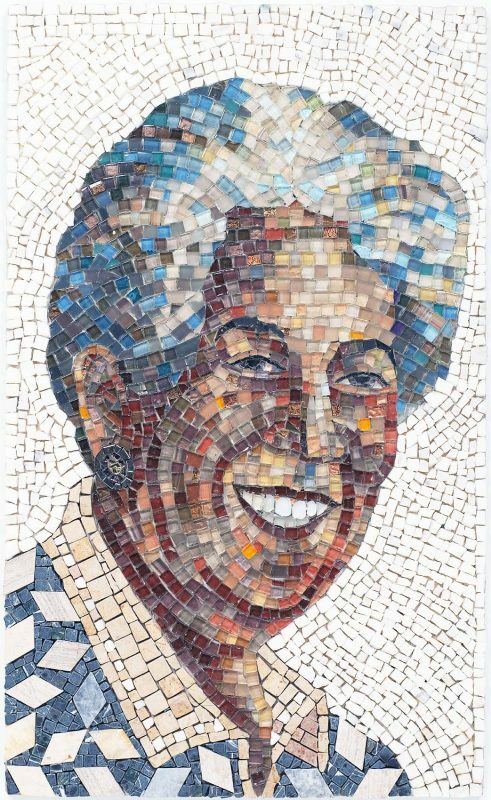 That’s why I’m proud to have recently acquired portraits of both figures: a wonderful mosaic portrait of Antonia Pantoja by muralist Manny Vega, and a photograph of Sal Castro by photographer George Rodríguez. I hope their presence in our museum—along with many other portraits of Latinos already in our collections and those still to be acquired—helps give our visitors a fuller understanding of the significant role Latinos play in the U.S.
¡Feliz aniversario! The Smithsonian Latino Center enters its third decade Barack and Michelle Obama unveil their portraits at National Portrait Gallery Writer Rudolfo Anaya is subject of National Portrait Gallery’s first Latino commission Why does the National Portrait Gallery have a real portrait of a fake president?